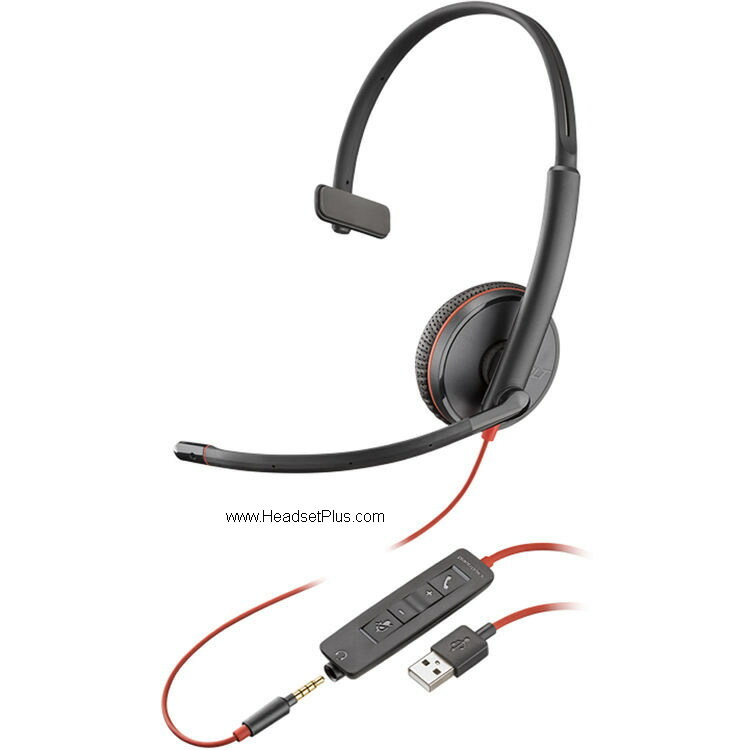 Plantronics Blackwire C3225 USB-C Headset in the Blackwire 3200 USB-C Series, Equiped with leatherette ear cushions for all day comfort. It includes a 3.5mm smart phone jack for your iphone or android phone. Inline controls to easily mute and adjust volume. Microsoft Skype for Business plug and play certified. Also compatible with most major softphone software. Plantronics Blackwire 3200 series.